Free Marketing ideas are a gold mine for every business. Often time it happens that such free marketing ideas and free marketing stratgies are not common to come by. I have curated some of my favorite and marketing ideas , almost all of these marketing ideas have been implemented one way or the other by me for myself or for a client. Please note some of these marketing ideas are not 100% free , some will require a minimum investment , example could be creating a facebook account , this will require you to invest in a laptop or a computer or a Macbook, internet etc . Do you like free things? Of course, everyone does. Therefore, provide your clients, prospective clients as well as guests of your website a costless offer, such as directions or a detailed and compact information in connection with your product or services in exchange for their name and email address. You will incur little or no cost at all for doing this since the gift will be conveyed through electronic means to their inbox. Make it a point to check upon them periodically, say every two weeks, with other interesting and detailed information which are beneficial to them, of which should comprise information about your company. Doing this will clear the way and present you as credible and trustworthy and also prompt your latent clients of your products or services. You and your company will be so visible to them that they will not go elsewhere when they are prepared to buy. 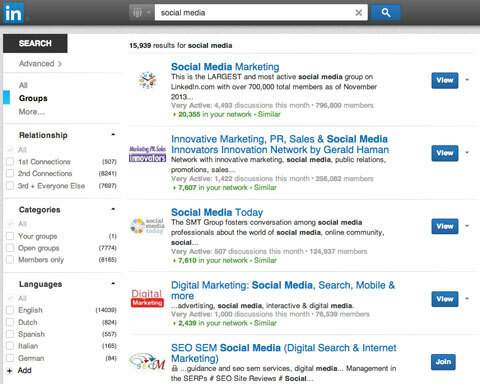 As much as possible, search and join as many Linked-in groups which are in connection with your business. Be active in the group by regularly posting questions and other tips. Anytime you publish an article on your blog, share it but be sure to add your link to make it easy for them to access your page. You do not pay anything for this so utilize the opportunity. In no time, you will be seen as a leader and several thousands of business people who are fascinated about your business will get access to all your postings. You must make known to the general public your expertise which will boost your visibility and value for free. Broadcast guidelines and share your expertise through public speaking. Moreover, attempt diving into the media by making it super easy for people to fellow you and your business. There is now the availability of forums and discussions boards like Quora, Sign up for a free membership that will enable you to publicize yourself and your business by providng your expert advice. It is important to post your business ID, the name of your business (you can add the web page link as well). Always have at the back of your mind that each person out there is a potential customer and hence you must present yourself well to them. Remember that all posts epitomize your business and yourself hence, it is not advisable to get caught up in the public drama. Also you can pick form of volunteer teaching in your area of expertise at seminars or through your local networks. This will help promote your business as well as serve as a marketing strategy for you. If you reside in Accra Ghana, you can sign up to teach at SkillGator International for free, help people who want to acquire basics skills in marketing , information technology etc. Networking is very important. Always crave to network with new people. One way you can do this is to let most influential friends or business partners connet you to people they think are influential and can help you expand your business. Have lunch or coffee at a serene environment with each of the clients and through that, get to know them. Discuss your future goals and aspirations with them and prove the worth of your business after which you ask them for their advice. Add their advice to your cup of knowledge and work with the ones which is best for your company. Believe you me, you will get marvelous important inventive ideas you never imagined from these people which will help your business grow. Associate yourself with people who can also link and connect other people to you and your business because numbers has got great power. Exploit this opportunity to create the ‘tell a friend to tell a friend to tell a friend’ situation however, not spamming. For all you know, someone may know someone who can help you out. To have a good networking, concentrate on helping others rather than focusing on referral or leads. Help them first (by way of making them/ their business seem so important) and they will reward you later by reciprocating the help they had from you earlier. Don’t always expect your clients to buy, buy and buy from you. Surprise your clients sometimes with gifts which will really get them excited. This will keep your clients in a way to be loyal to you. Don’t wait till conferences or tradeshows before you promote your products. People normally don’t expect gifts at conferences . Therefore keep small branded products with you since it might be very useful. Mind you, your gifts should not necessarily be too costly but should be something very appreciable which will always remind them of you and your brand. You can try any of the following items: tip calculator cards, tea bags, pens and pads, small flashlights or specific things such as small packets of flower seeds for a gardener or landscaper with their contact information on it which are related to your company. It is a place where people always gather to discuss business, life and community events. It is very critical to launch your existence on the Internet even if you have established a physical store. Make your social media accounts lively by creating and interactive atmosphere and by updating it regularly. Your activeness on social media will not only upsurge the awareness of your brand, it will also enhance your company’s rank on the search engine and attest to the fact that your company or business abreast. Fall on the larger, matured and more proficient companies who are in your field for your low hanging fruit. Schedule a lunch date with them and ask them to pass on menial jobs which they can’t handle due to limited time to you. Don’t forget to write in ink a thank you note on a gift card for every successful appointment they send you. This strategy will save you from spending a lot on advertisement hitherto have a good client establishment. Everyone likes good food and therefore is attracted to where good food is. I am a perfect example. Therefore, if you are into a food business , team up with other resident companies and good restaurants to organize special programs only for eating purposes. You will be surprised at how introduced you’ll be to a completely different set of people without paying no huge amount of money just by joining your database to these resident businesses. You can create great PR by just sending food to, for instance, a TV or Radio station stimulate a program. Not to say something very expensive but just make it presentable, amusing and different. Believe you me, you will get great results. Are there other businesses, whether small or big, in your provenance? If yes, why don’t you motivate their employees? For instance, just call the HQs of Ghana Airways and enquire the procedures you have to follow if you want to discount, say 15% off, the bills of the employees. It’s usually called ‘Employee Perks Program.’ By doing so, they will display your offer on either their website or the waiting area or on any other similar platform. You can also make available to their HR department some printed tickets or printable digital ones which can be sent via email to their employees. On the ticket, include the date the offer will end (normally 30 – 60 days) and a “customer must show employee ID to your redeem coupon”. It is very crucial for businesses who engage in retail and wholesale activities to have an online map listing as it is one of the first things that show up on search engines when people search. What makes your innovative newly introduced product different from the others? Can you give a guess? Well, it is the commendation it gets from people who have already used your product and have good to say about it . Get some of these testimonials and put on your website, social media channels or share on whatsapp status. This will not only bring you credibility but also new business. Writing is not easy but a well-written blog is very crucial as it is the secrete key to open the wining door to generate traffic to your company website . Not being able to write should not be an excuse. Pay someone to write for you if you can’t or better still, if you want to save money, you can barter services, do your keyword research with tools like Kwfinder, SEMRush , Ahref, Google Keyword planner. I use all these to do my keyword research before i start to write any article, my favoriate are Kwfinder SEMRush and Ahref , in another article i will explain what i use KWFinder for , How i compliment it with Keywoord Reserach tools like SEMRush and Free Keyword research tools like Google Keyword Planner, you can read my blog on how to do a good keyword research. What you need to know about Keyword research is tht a, the moment you skip the keyword research stage , you’re going to end up with content pages that most likely won’t attract a sufficient amount of traffic. The golden rule is to find keywords that have the lowest competition and enough search volume. Starring in your own Youtube Series should be one of your priorities. I’m not sure the camera loves me but I surely do love the camera and you can also follow my soon to be footsteps. Be creative enough to create something of your own which is unique by exploiting catchy ad campaigns which fascinate the attention of people. I have an article on youtube ideas you can do videos on to help you market your business, what you need to know is , you can do this kind of videos with your personal smartphone. One good free strategy to get more vides on your youtube video so make sure your youtube videos rank when someone searches for it , you can achieve this by again leveraging on keywords that people search when they open Youtube to watch videos, My favoriate are Kwfinder , SEMRush and Ahref will come handy here again. Be certain to list your business on local business directories like yelp, yellow pages etc . Go the extra mile and upload pictures, menus or pertinent stuffs of your service or product. You can also use these business listing sites to find potential clients , look them up and pick up your phone to call, try calling about 100 of them and i bet you get about 5 to 10 client meetings. The quickest way to generate quick ckientale base is to leverage on pay per click strategies otherwise known as PPC or SEM , this will put your business ahead of competition and infront prospective clients when they are in active “search and buy mode” i.. Begin with Google Ads by defining a budget and an offer and also, choosing your keywords to inscribe a responsive ad. After this, you will be visible when someone search for those keywords you will include in your ads . After getting your logo, use it everywhere including online and on every printed document. Be sure that all your marketing logistics, i.e. your business cards, letterhead and even envelopes, bear your company logo. In addition, put it on your email signature, your website and all communication through the exchange of letters in order to strengthen your brand . You’re sure to have the name of your company have a strong impact once you have a concrete logo which makes an impact. Most times, many people see e-newsletters with valuable content as being old-school but I see it to be very effective. After all, it doesn’t have to be or sound like sales pitch. See it as a platform to place your business as proficient and a supplier of pertinent facts. Establish a robust database with the media/bloggers as your main target. Provide your customers the chance to subscribe. Write regularly, but not fanatically. One of the cheapest but very efficient marketing tools is a rightly done E-News. The number of times your content will be tweeted or covered by bloggers shouldn’t be a shock to you at all. Newsletters will create credibility and stimulate interest in your products/services. If there is a way to either author an article in a local publication or newspaper or participate in a speaking engagement – do it. Nothing creates credibility faster than getting published or speaking. Many organizations and institutions ignore their current clients to create new ones which is really not a good idea. In case your organization organizes events, provide people with a reduction in price or a free gift to invite a friend over. If your product or services is purchased on the internet, give them a voucher for the same item proposing that they circulate it to people they think will use it. The type of relationship you have with your clients can make or unmake your company. The successful company is the one whose owner commit himself/ herself to build and maintain a cordial relationship with the clients and prospects. The opposite, is the mediocre. Business owners should make sure they keep up communications with clients through both traditional and online forums such as blogs, social media networks and websites . Ask yourself, ‘am I listening’, ‘am I participating’ in the conversations which are happening all around me and my clients? Be a thoughtful leader and be visible! Find and identify yourself with your ideal clients on Twitter and follow them. Make time and listen to their concerns. It will amaze you to know what their concerns are, their best products and the recent problems they might have had with the retailers. This will go a long way to help you get an honest market research on your products and everything associated with it. Create an account baring your business name on twitter and enlighten your followers and other people with your posts. Always remember to add the link to your products and services at the foot of your posts. One thing which has worked very well for me is offering discount coupon codes to my followers and I would encourage you to also try it. What are your Facebook friends for? They are not there only for you to know their birthdays or see their new pictures. Get them involved! For they are one of the greatest free marketing tolls you’d ever get. Make a special promotion for members in your ‘friends and family’ using the NOTES application (for example, your enter “facebook″ at checkout to receive 10% off). After this is done, tag all your friends and encourage them to share to all their contacts too and tell their friends to also share among their friends. You’ll be surprised about the positive responses to your offer because it is a good one.